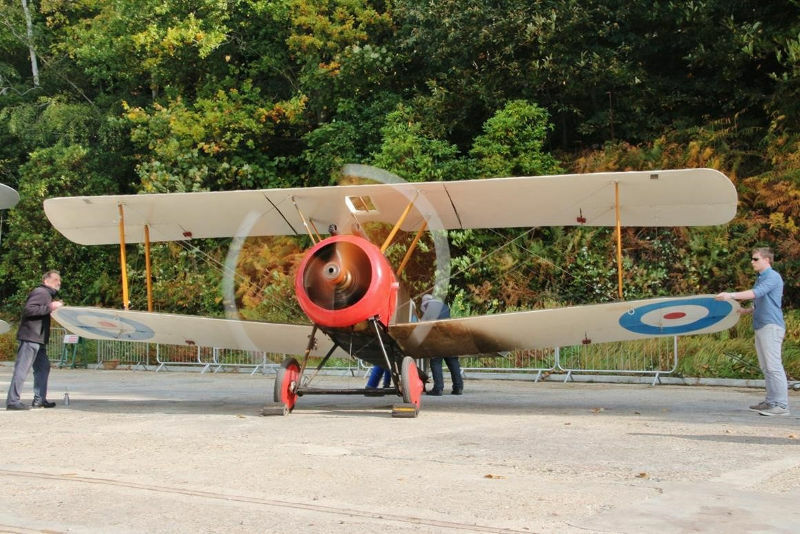 The enormous contribution Brooklands made to aviation through much of the twentieth century will be celebrated at its annual Aviation Day on Sunday 16th September. Since the first UK flight trials of A V Roe took place there in 1908, through two world wars, into the jet age and Concorde, Brooklands has been a major centre for aviation manufacture, flight and testing for over 80 years. One of the main attractions of the day will undoubtedly be the scheduled fly-ins from visiting aircraft*. On the airstrip at Mercedes-Benz World opposite the main visitor entrance, the organisers are expecting several vintage bi-planes including Tiger Moths and a helicopter to make a dramatic entrance. After landing, spectators will be able to inspect the machines and chat to the pilots. The Museum’s own Concorde will be running half hour virtual supersonic ‘flight’ experiences all day and opposite the Concorde in the 4D Theatre, visitors can experience a motion simulator ride with the Red Arrows as well as two racing rides. Visitors to this extravaganza will also be able to see the Museum’s incredible collection of classic cars and motorcycles plus the largest collection anywhere of Vickers and BAC aircraft, including the Varsity, Viscount and VC10 in the Aircraft Park. The Volunteers that steward the aircraft are always keen to give valuable insight into these machines and sometimes allow a visit inside the cockpit. The WWII hangar that once stood on the Track now lies adjacent to it and has been reinterpreted as the Brooklands Aircraft Factory; once inside, visitors will experience the sights and sounds of a busy factory floor with work stations and breath taking displays showing giant sections of aircraft at various stages of manufacture. In the centre is the only surviving Wellington Bomber that saw active service in WWII. The Factory, together with the newly-built Flight Shed which houses the Museum’s live aircraft won a Museums & Heritage Award this year in the permanent exhibition category. Also on site, the Hawker Fury, Hurricane, Sopwith Camel and mighty Vickers Vimy will all be on display. There will be static aero-engine runs* on the day and in the Paddock, the area in front of the historic Clubhouse, the largest gathering of children’s pedal planes is being attempted. Also for the youngsters will be a free aviation-themed activity and in the Museum Shop, books, models and toys all relating to aviation will be available to buy. The Sunbeam Café and a barbecue will be open all day marking it out as a perfect day for families and friends. A full timetable for the day is on the website so you can start planning your visit. Entrance fees are as follows: Adults £13.50; Seniors/Students £11.50; Children (5-16 yrs) £7.00; Children Under 5 FREE; Family ticket (2 adults and up to 3 children), £35. For full details and up to date event information, visit www.brooklandsmuseum.com or telephone 01932 857381. The 4D Theatre rides are approximately 8 minutes long each and are priced at £4 Adults/£2 Children. The half-hour Concorde Experience is £5 Adults/£3 Children. *Visiting helicopters, light aircraft and engine run demonstrations are subject to operational conditions.